Oxford University Press, USA, 9780190915582, 208pp. 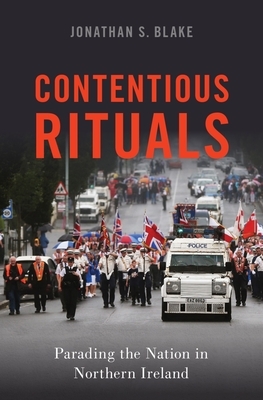 An insightful exploration of the characteristics and dynamics of nationalism in action, Contentious Rituals offers an innovative approach to the contested politics of culture in divided societies and a new explanation for an old source of conflict in Northern Ireland. Jonathan S. Blake is an associate political scientist at the nonprofit, nonpartisan RAND Corporation in Santa Monica, California. His writing on identity, conflict, and contentious politics has appeared in The Atlantic, The Nation, Los Angeles Review of Books, and other popular and academic outlets.